In a way I was glad that we were not planning to fly direct from Nassau back to the US. While Paradise Island was not really Paradise in my mind, we still had half day in the Bahamas. The plan was to do some island hopping before heading back to the States. After breakfast we headed back to the airport, filed our VFR flight plan (Nassau requires all pilots departing from Nassau to file one), and departed for the short hop to Fresh Creek airport on Andros Island. Andros Island is the largest island of the Bahamas. As with the other Bahamas islands, tourism is the major industry here. There are beautiful flora, fauna and marine life and untouched beaches for a peaceful getaway. Last year when I made this trip, I had hoped to land at as many airports as I could. But the 2 nights, three days we allocated to the Bahamas prevented us from doing much island hopping. The major problem with island hopping in the Bahamas is that most of the public use airports are away from the main populated area. The small islands have little sight-seeing sites and most importantly most of them do not even have a food stall to grab that vegeburger flyin meal. A few have beaches nearby, and taking a beach blanket and picnic basket would be a perfect way to spend an afternoon. 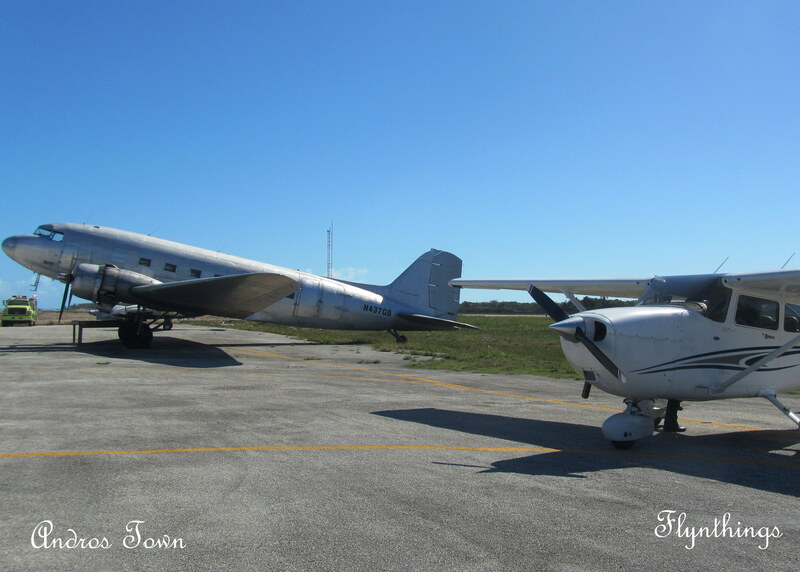 There was nothing to do at Fresh Creek, and after stretching our legs, we taxied for departure ahead of a Coast Guard flight that was inbound for landing. The next hop was to the island of Bimini. 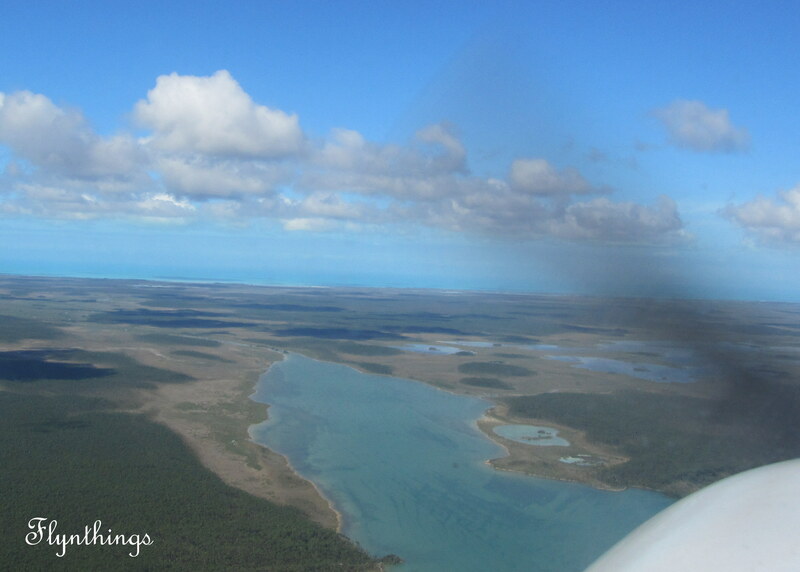 Bimini is composed of three small islands: North, South and East Bimini and the airport lies on South Bimini. The ocean surrounding these islands is supposed to have some excellent spots for big-game fishing. Bimini is the closest island to the United States, just 53nm away from Miami, FL. Juan Ponce de Leon and his search for the Fountain of Youth references Bimini, and it is rumored that the Fountain of Youth exists in the shallow pools of South Bimini. This was going to be our last stop in the Bahamas. 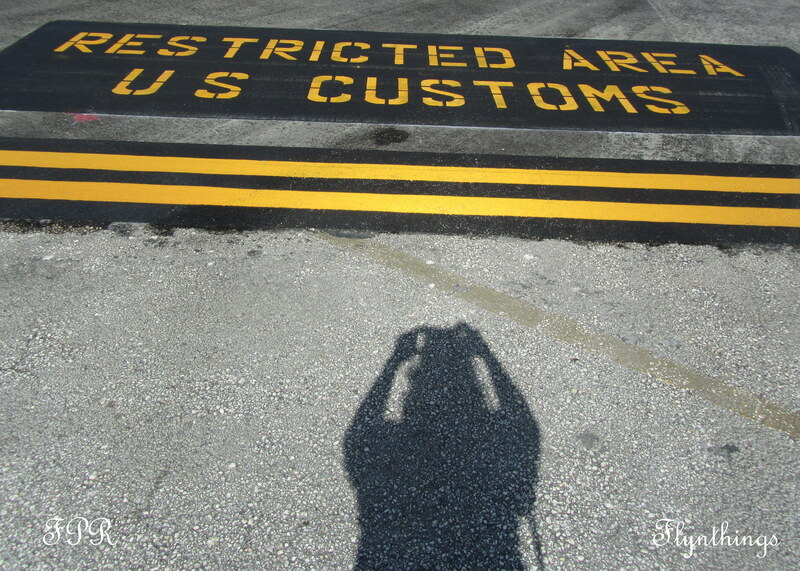 We planned to conduct our exit customs and head back to the States from Bimini. As clouds thickened around us, we were concerned for a short while. As I indicated before, there is no weather information in the islands other than Nassau weather. Only day VFR operations are allowed and possible, since there are no instrument approaches anyway at the small GA airports. Nassau and Freeport are the two airports with approach procedures and since we had just departed Nassau earlier in the day, Freeport became our alternate airport of choice. But we needn’t have been worried. When we sighted Bimini, it was crystal clear. Florida, yet again was mostly cloudy and I had filed an IFR flight plan. Bimini lies less than 10nm from the ADIZ, which meant we had to contact Miami or Nassau immediately on departure in order to get our squawk code and open our flight plan. We climbed as expeditiously as we could, while avoiding encroachment into the ADIZ zone and tried different communication frequencies to pick up our clearance. On the third attempt we picked up Miami and headed back home. “Skyventures 31, I see some precipitation at your twelve o’clock, do you prefer direct Fort Pierce?” Miami Center asked. While I was curious how it would feel like, this definitely felt like music to our ears. Landing at FPR, we taxied over to the customs building next to the Airport Tiki. The procedure requires an arriving pilot to taxi into a yellow box outside the customs building, parking the airplane in a fashion that the registration number is visible clearly. There are two kinds of yellow boxes: one if you just want to do customs and depart and another if you want to do customs and get some fuel and depart. I got some excellent IMC flying experienc this trip. Much of the flight from Low Country down to FPR had been under IMC. The flight from Bimini to FPR as well as the flight the next day from Fort Pierce, FL to Orangeburg, SC was also mostly IMC. Although, we had hoped to return our vests, refuel and head to Ferdinanda Beach for the night, we changed our plans and instead retired for the night in Fort Pierce. A storm was brewing ahead and any flight up north was still going to be in IMC until we left Florida behind. Next Article If wishes were horses….